Harvard researchers have developed a computational model that can mimic, with only a few, simple parameters, the complex wing patterns of a large group of distantly-related insects, shedding light on how these patterns form. One of the biggest mysteries in nature is how complex patterns—such as leopard spots or zebrafish stripes—form. This research lays out a framework that could help answer many of these open questions in the evolution of diverse tissue patterns. The researchers compiled a database of more than 500 specimens from 215 different species of dragonflies and damselflies and developed an algorithm to differentiate each individual shape made from the intersecting veins on the wings of the insect. The researchers found that while the patterns on each wing are unique, their distribution is strikingly similar across families and species. Based on these similarities, the researchers built a developmental model for how these patterns can be formed. The researchers proposed that an unknown inhibitory signal diffuses from multiple signaling centers in the regions between the primary veins. These inhibitory zones emerge randomly and repel one another, and then prevent secondary veins from growing in certain areas. As the wing grows and stretches during development, those zones could form the complex geometries of the wing as the veins grew around them. 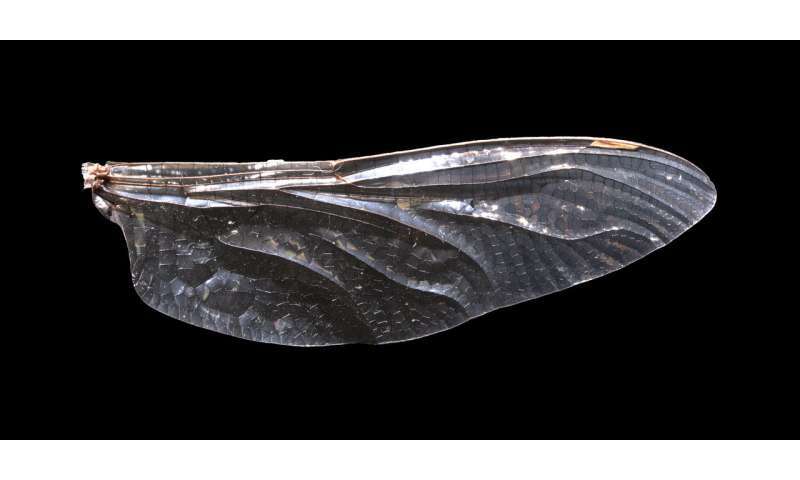 The researchers tested the model on many different insect species—including distantly related insects—and generated life-like reproductions of wings. 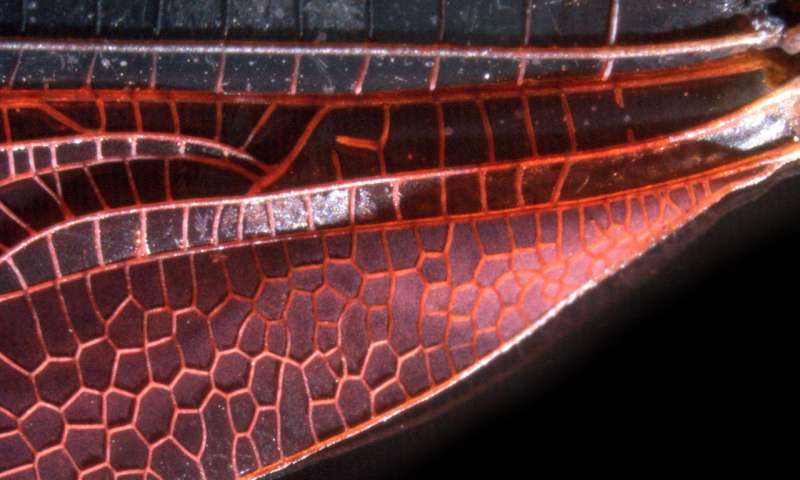 Why don't insect wings break?